Mickey (Mary) Cleverdon was born in Tampa, Florida, but has spent most of her life in Alabama, growing up in Bessemer, and studying piano in Birmingham. She attended Converse College in Spartanburg, South Carolina, graduating with a double major in Music and English. 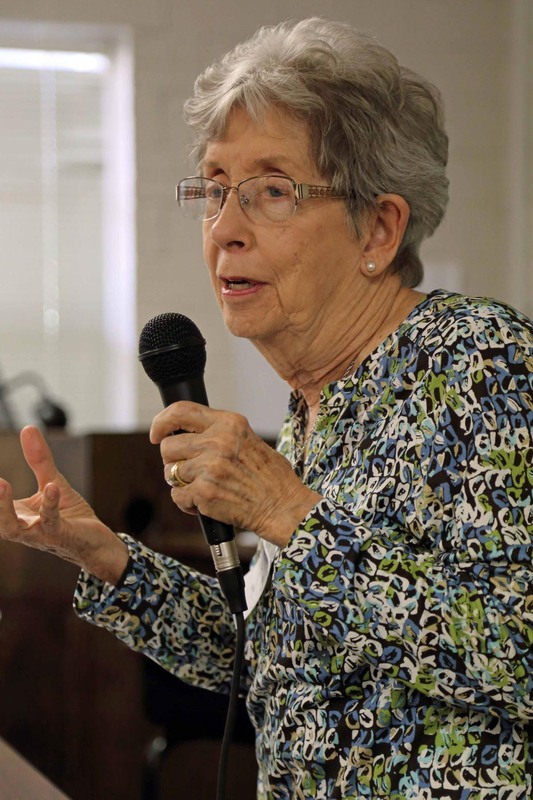 She received a Masters degree in English at the University of Alabama in 1958, and returned later to work toward a doctorate while teaching Freshman English. She has taught in English departments at Jacksonville State, the University of South Alabama, Spring Hill College and Faulkner State Junior College in Fairhope. Developing an interest in writing poetry led her to attend the Napa Valley Writers Conferences in California for five summers where she studied with David St. John, Mark Doty, and Jane Hirshfield. She has had poems published in Negative Capability, Penumbra (in Tallahassee), The Red Bluff Review, Whatever Remembers Us: An Anthology of Alabama Poetry, and Literary Mobile. Slo Loris Press published a chapbook of her poems and her husband John’s woodcuts, Questions of Form, in 1999. In 2009, they presented a show of their work, later poems and woodcuts, at the Fairhope Unitarian Fellowship Gallery. Mickey and the artist Jo Patton collaborated in a show at the Eastern Shore Art Center, “ Wharfs and Words,” which was accompanied by a chapbook, edited by the artist, Frances Neumann. She loves living on Mobile Bay, near Fairhope, and able to attend the Pensters which has great speakers and meetings, but more than that, a marvelous group of writers who share their knowledge and insight, and give encouragement to each other. Many, many thanks, Pensters! !